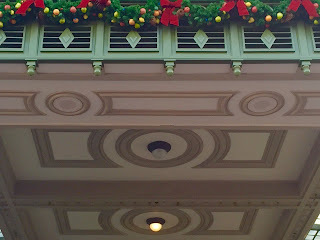 One of my favorite "hidden Mickeys" is located in the ceiling of the Main Street Station at the Magic Kingdom. It is unique in that you have to look at it from a specific spot, which is eight steps from the curb across the street from the station. 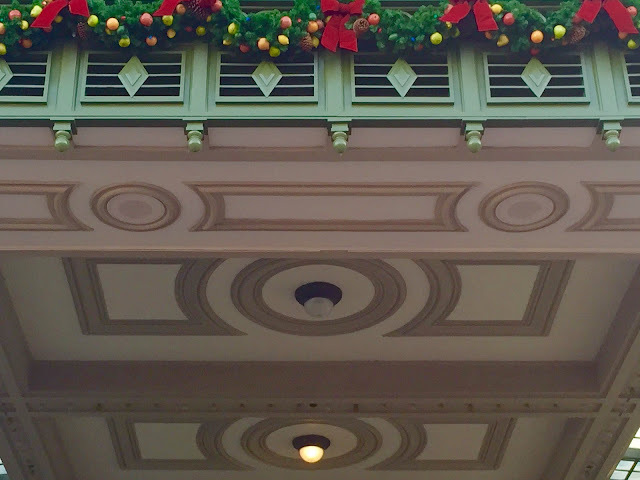 When you look up from this angle, the Mickey is formed with the large circle around the light (that is currently out) and the speakers in the foreground. I took this shot while giving a tour of the Magic Kingdom a few days ago.